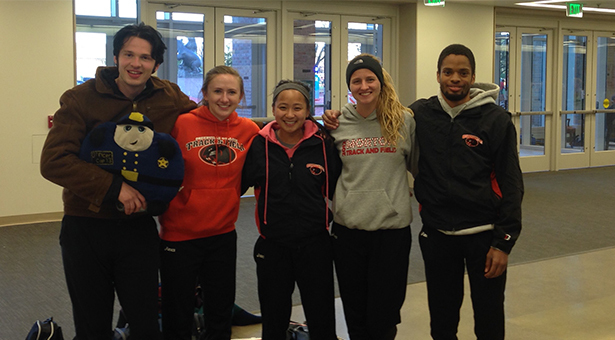 A few of the Men's and Women's distance runners. 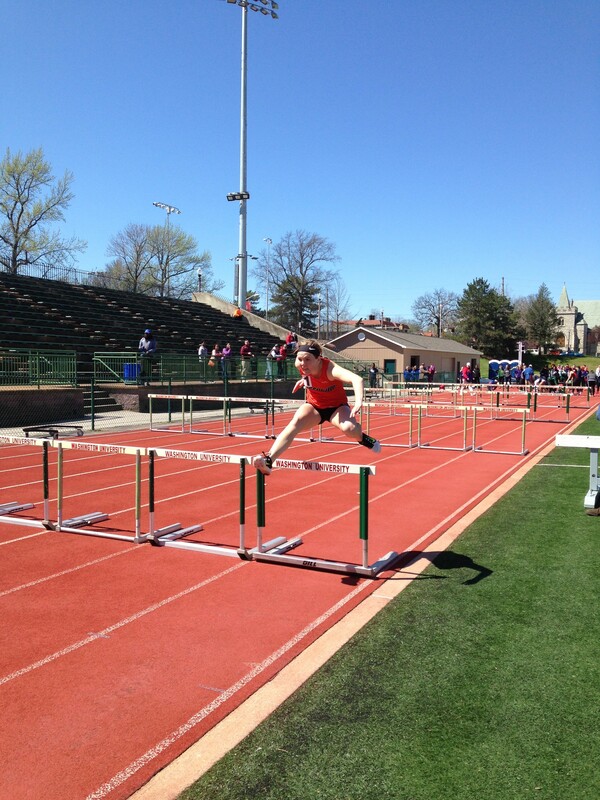 The 2016 Washington University Track and Field Invitational was a two day meet including 30 teams. You could say this meet took your breath away and was a windy one. The winds gusted between 20-32mph the entire duration of the meet. Greenville was able to come away with a pair of top five performances between the men’s and women’s teams. The Greenville College Men’s and Women’s Track and Field teams combined for some great finishes, as the men’s team took a 23rd place finish out of 30 teams. The women came away twenty-first out of 34 teams. Coach Easley was very hopefully that the wind would help the jumpers out immensely since the jumpers had the wind at their backs to help them get to new personal records. Jarrid Williams competed well for his first outdoor meet. He had a great jump of 6.57 meters (21’-6’’) in the long jump. In the triple jump he had another strong leap of 13.86 meters (45’-5”) for a fifth place finish on the day. The Panthers had some wonderful performances from Matt Hughes and Sierra Ruffner in the high jump. Ruffner made a jump of 1.56 meters (5’-1”) which was tied for fifth place. 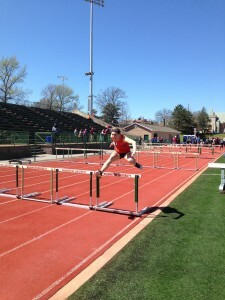 Hughes was close to a personal record jump of 1.80 (5’-10”). His jump was good for an eleventh place finish. The distance squad had a very rough day with the strong gusts of wind. John Mangold was able to break through the wind in the 1500 meter race with a time of 4:08.3. He was only three tenths of a second from qualifying for Outdoor Christian Nationals. Andrew Sharp, who was dealing with an illness, still ran a good time of 2:00.3. Nathan Potts was not far behind with a time of 2:02.4. 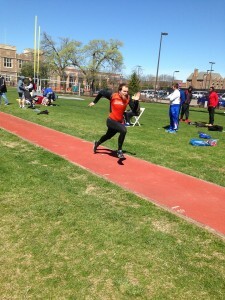 The women’s distance squad had to deal with the blustery wind around the track as well. Sheridan Noll and Molly Works were able to turn in a couple of impressive performances. Noll had a time of 2:33.3 in the 800 meter race, while Works was able to get a few points for the team with a sixth place finish in the 3000 meter steeplechase. She finished the race in 12:15.6. The Greenville sprinter squad had a bit easier day of competing well on the track against the wind. Williams had a time of 22.67 in the 200 meter dash, which was good for a seventeenth place finish. Humid Camaria had a time of 23.72 in the same event while winning his heat. Bradley Stubbs won his heat as well with a time of 24.67. 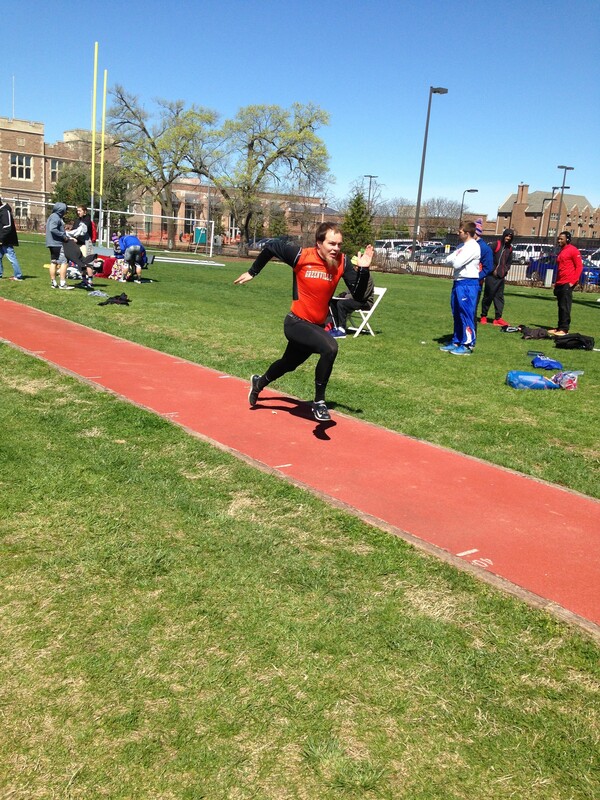 Hopefully the Greenville Panthers’ Track and Field Teams can rebound from the harsh winds next weekend, as they will travel to St. Louis University’s Invitational.